Five years ago, Phil Lord and Chris Miller brought us something AWESOME in The Lego Movie. In fact we find ourselves in disbelief there is a Sequel even with the door seemingly being shut the first time around. 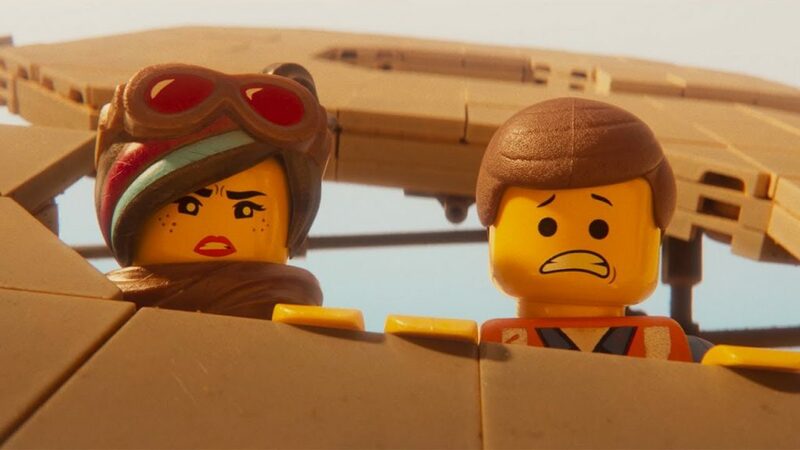 Well it is now five years later and Mike Mitchell takes the reins with Lord and Miller‘s Script and here we find before us, THE LEGO MOVIE 2: THE SECOND PART. The Movie focuses on our heroes again, Emmet (Chris Pratt), Wyldstyle (Elizabeth Banks), Batman (Will Arnett), Unkitty (Alison Brie), MetalBeard (Nick Offerman) and Benny (Charlie Day) as The Lego Movie 2: The Second Part picks-up moments after the first. They now face a new threat in the form of Lego Duplo as the Lego Duplo characters destroy everything in Bricksburg faster than they can rebuild. Fast-forward five years, where the Lego world is more dystopian than ever before and our heroes are met with a new threat, General Mayhem (Stephanie Beatriz) as she captures the greatest master builders and brings them to her queen, Queen Watevra Wa’Nabi (Tiffany Haddish). Emmet is now tasked with rescuing his friends and preventing Queen Watevra Wa’Nabi and General Mayhem from destroying their world. The Lego Movie 2: The Second Part thrives on Lord and Miller’s imaginative, twist-filled Plot. While there are some clues given early on, the destination still is a surprise. This Sequel maintains everything alluring about the first. The Soundtrack here is just as infectious as its predecessor. The Voice Cast are phenomenal here. The returning Cast are just as amazing as they were before. Pratt who is now doing double duty as Emmet and Rex Dangervest is outstanding, while newcomer Beatriz completely transforms from who we know her as from her Brooklyn Nine-Nine persona. She is spectacular as General Mayhem. However it is Tiffany Haddish that steals the show as Queen Watevra Wa’Nabi because her charisma is through the roof. Her pipes are great and her song with Will Arnett, Gotham City Guys and solo number Not Evil are among my favourite parts of the Movie. The Lego Movie 2: The Second Part is a perfect Sequel that many thought couldn’t happen, however everything is indeed awesome… again! Warner Bros. Pictures Canada release THE LEGO MOVIE 2: THE SECOND PART in theatres on Friday, February 8, 2019.